The Centre Eaton de Montreal is currently undergoing a transformation. 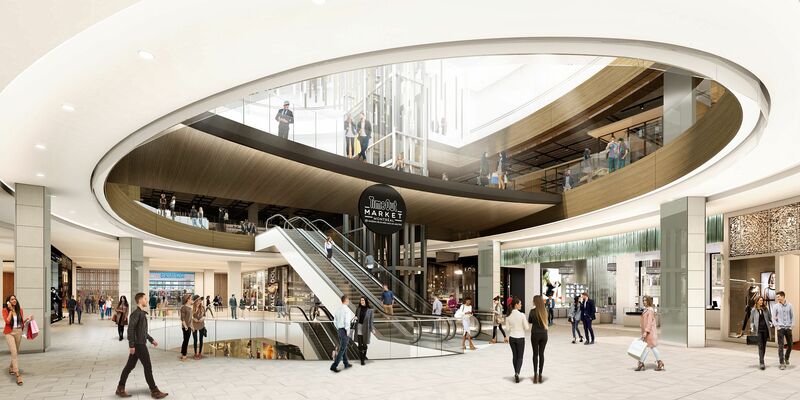 Thanks to a $200 million investment by Ivanhoé Cambridge, the Centre Eaton de Montreal is being redeveloped to help its retailers provide a better downtown shopping experience. The project also includes merging Complexe Les Ailes with the Centre Eaton de Montreal under one strong brand. Unveiling in Canada: Time Out Market Montreal is settling at Centre Eaton de Montreal and will unite the best the city’s got to offer under a single roof. Already an immense success in Lisboa and soon in New York, Miami, Boston and Chicago, the opening is expected towards the end of 2019 in Montreal. Centre Eaton de Montréal is pleased to announce that Montreal's first-ever Décathlon store will open in our Centre! The sporting goods retailer will occupy nearly 3,500 m2 (38,000 ft2) of space on two floors of the property. With a grand opening scheduled for fall 2019, the Décathlon - Centre Eaton will be the first in a downtown location in Canada. Will the shopping center be open during renovations? Yes, the Montreal Eaton Center will remain open during construction. How can I find out whether a retailer has changed location during construction? Any tenant relocations will be clearly identified in the shopping centre and communicated via social media. How much time will construction last? Are opening hours the same at former Complexe Les Ailes and the Montreal Eaton Centre? Yes, opening hours are the same for all retailers. Will new retailers be added? The arrival of new brands will be announced over the upcoming months. For example, the opening of Decathlon is scheduled for fall 2019. This retailer will offer an immersive experience of equipment and clothing for all types of sports activities.